There are 75 unlogged users and 0 registered users online. 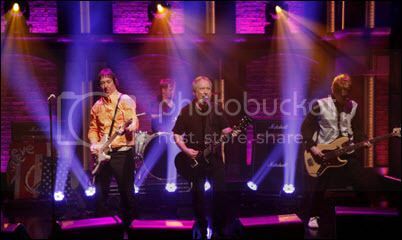 THE BUZZCOCKS played “Keep On Believing” and “Ever Fallen in Love (With Someone You Shouldn’t’ve)?” for Seth Myers. VIOLENT FEMMES stream their Happy New Year EP. BLUR is advance streaming The Magic Whip via iTunes. NICKI BLUHM & THE GRAMBLERS stream Loved Wild Lost. ALL SONGS CONSIDERED: Tracks from My Morning Jacket, Matt Pond PA, Heather Woods Broderick, and more highlight the latest edition. DJANGO DJANGO were "Beginning To Fade" on Record Store Day. THE MILK CARTON KIDS drop “Secrets of the Stars,” inspired by the novelist Haruki Murakami. THEE OH SEES drop "Withered Hand" and "The Ceiling" ahead of Mutilator Defeated At Last. KURT COBAIN covered The Beatles' "And I Love Her." THE MAN WHO BROKE THE MUSIC BUSINESS is someone you never heard of. ALVVAYS guitarist Alec O'Hanley pens a love letter to Teenage Fanclub's Grand Prix. SANDY DENNY is remembered by NME. RYLEY WALKER is profiled by the Chicago Reader. 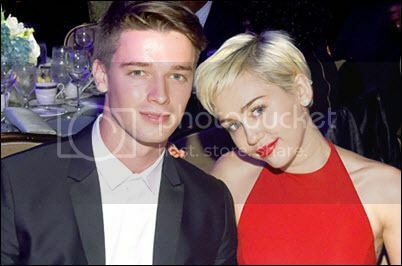 MILEY CYRUS & PATRICK SCHWARZENEGGER have split. FULL HOUSE is headed to Netflix, but it remains to be seen how full it is. CHARLIZE THERON talks to W magazine about Mad Max: Fury Road. STANLEY TUCCI & EWAN MacGREGOR join the cast of Disney's live-action Beauty and the Beast. BOBBI KRISTINA BROWN is off life support, but her family continue to maintain there's no real hope for recovery. MADONNA drew the ire of many of her fans on Tuesday when she posted an Instagram photo of Margaret Thatcher. GALAXY QUEST may head to the small screen, which is meta. YEMEN: Anti-Houthi coalition airstrikes in Yemen removed any threat posed to Saudi Arabia and neighboring countries, the Kingdom’s ministry of defense said on Tuesday. LIBYA: The United Nations refugee agency estimated Tuesday that as many as 850 migrants had gone to their deaths in a boat capsizing earlier this week off the coast of Libya, even as the ship’s captain and a crew member were taken into custody on criminal charges. IRAN is at most three months away from enriching enough nuclear fuel for an atomic bomb, contrary to prior claims of the Obama Administration. Pres. Obama left open the door to "creative negotiations" in response to Iran's demand that punishing sanctions be immediately lifted as part of a nuclear deal, even though the initial agreement calls for the penalties to be removed over time. BONNIE hates to eat alone. MILLIONS OF IOWA HENS could need to be euthanized in an Avian Flu outbreak. A NEWLY DISCOVERED FROG SPECIES looks like Kermit. COWS checked out the Mall of New Hampshire. 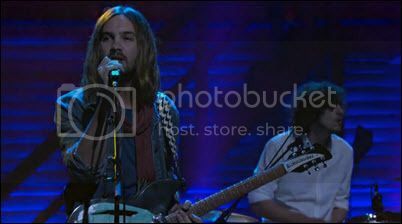 TAME IMPALA played "Let It Happen" for Conan. BRAIDS advance stream Deep In The Iris. ELLIOT MOSS advance streams Highspeends. SPRING KING advance streams the They're Coming For You EP. EFFED UP dropped the 8-minute track, "California Cold." 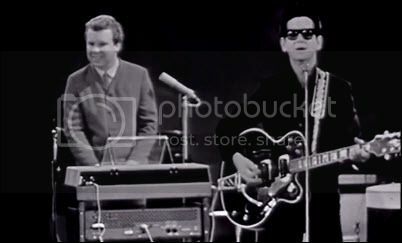 ROY ORBISON provides vintage performances of "Running Scared" and "Oh, Pretty Woman" for Twofer Tuesday. TWIN SHADOW's tour bus was in an accident; TS himself will undergo reconstructive surgery. LULU talks to The Guardian about her challenging start in life, being a member of the ‘church of the universe' and why she understands why Zayn Malik quit One Direction. NORWAY's Minister of Culture announced this week that a national FM-radio switch off will commence in 2017. FLEXI-DISCS: Don't call it a comeback. 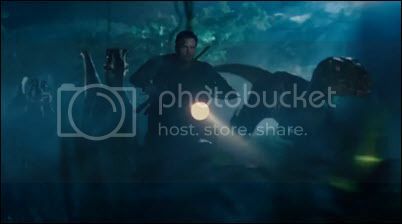 JURASSIC WORLD dropped a second global trailer. Go faster, Star-Lord. FANTASTIC FOUR's reboot gets an official trailer. BEN AFFLECK demanded that the PBS show “Finding Your Roots” remove the fact that one of the actor’s ancestors owned slaves. GWYNETH PALTROW & CHRIS MARTIN may finally divorce. JOHNNY DEPP & AMBER HEARD may have already hit a rough patch. ARIANA GRANDE & BIG SEAN have split after eight months of dating. STAR WARS: ROGUE ONE may be about Bothan Spies. WONDER WOMAN is going to be a quieter, character-based film? Really? YEMEN: The aircraft carrier USS Theodore Roosevelt left the Persian Gulf on Sunday and is headed toward Yemen, in response to a convoy of seven to nine Iranian ships which appear bound for Yemen and which could be carrying arms. IRAN: Beefing up international monitoring of Iran's nuclear work could become the biggest stumbling block to a final accord between Tehran and major powers, despite a preliminary deal reached last week. 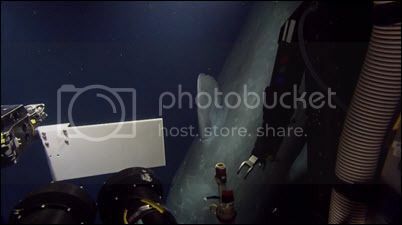 A RARE SPERM WHALE was caught on underwater camera. A DOG is to blame for a house fire that displaced a Rustburg, VA family Wednesday. A PARROT summoned emergency crews to a house fire in Idaho. Lesson: if you buy a dog, also buy a parrot. A BIZZARE SERPENT washed up on the salt marsh at Aramoana in Dunedin. 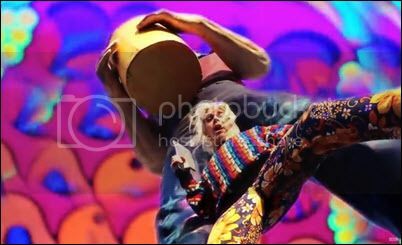 ARIEL PINK serves up a video for "Jell-O". JACKSON SCOTT advance streams Sunshine Redux. BROWN BIRD advance streams Axis Mundi. THE B-52S stream a 1979 concert getting an official release this week. ROBOTIC EMPIRE streams a tribute LP, Whatever Nevermind. SPOON released the demo for "Inside Out." FATHER JOHN MISTY dropped "I Love You Honeybee" and "Never Been A Woman" for Record Store Day. 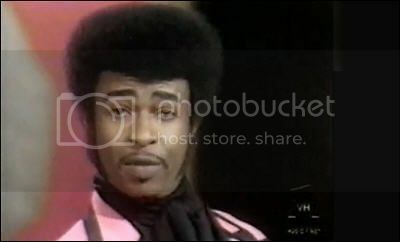 THE TEMPTATIONS: "Papa Was A Rollin' Stone." And when he died, all he left us was alone. DAMON ALBARN says Pop music no longer challenges the establishment or discusses politics because performers are part of the “selfie generation”. ALVVAYS: Molly Rankin talks to Pitchfork about her love of Celine Dion, scary motels, and more. 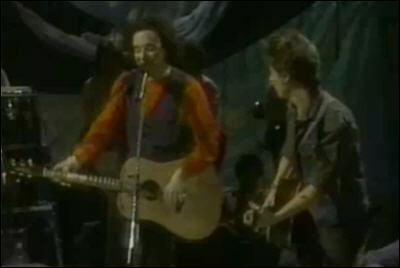 PATTI SMITH & LAURIE ANDERSON inducted Lou Reed into the Rock & Rall Hall of Fame. CHIC: Nile Rodgers talks about addictions, to food and otherise. BATMAN V SUPERMAN: DAWN OF JUSTICE posted a teaser trailer after it leaked online. WEEEKEND BOX OFFICE: Furious 7 threpeats atop the chart with 29MM; it broke the billion-dollar mark worldwide on Friday, jumping into the top 20 grossers of all time.But now it is in a race against the coming of Avengers 2 on May 1. Paul Blart: Mall Cop 2 placed with 24MM, a bit above expectations and below the origina's 31.8MM...and thus a movie that scored 0 on the Tomatometer may end up making money in cinemas. Unfriended showed with 16MM against a budget of roughly 1MM. Home dropped to th fourth slot with nother 10MM, andiss till well short of what it needs to profit on the big screen (roughly 400MM). The Longest Ride rounds out the Top Five with 6.9MM and 23.5MM total against a budget of roughly 34MM. 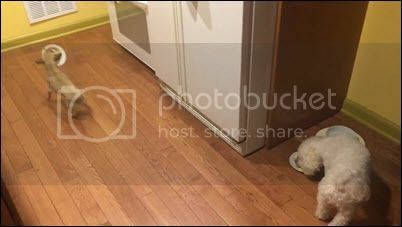 GWYNETH PALTROW:Days after admitting defeat in a widely publicized challenge to subsist on a food stamp budget, the actress was spotted at an expensive barbeque restaurant in Los Angeles with her celebrity friends, according to the National Monitor. SOFIA VERGARA will not destroy her embryo. ZACHARY LEVI and Missy Peregrym got secretly divorced, less that a year after getting secretly married. JOHN RIDLEY (12 Years a Slave) is teaming up with Marvel to develop a mysterious new TV series. AN ORAL HISTORY OF AIRPLANE: Surely you can't be serious. YEMEN: American citizens escaping Yemen, including small children and some frail elderly, are arriving exhausted in Djibouti after harrowing journeys from the besieged country, where a U.S.-supported Saudi Arabian bombing campaign is entering its fourth week. The Obama administration so far has declined to organize a rescue mission for the estimated 3,000 to 4,000 U.S. citizens in Yemen. LIBYA: A new round of peace talks backed by the UN began in Morocco. Russia has pledged to supply weapons to the Libyan government if a UN embargo is lifted. IRAQ: Why the rise of ISIS and the fall of Iraq weren't inevitable. 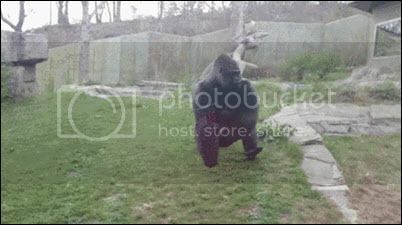 DON'T BEAT YOUR CHEST AT A SILVERBACK GORILLA, even if you're a little girl. THE SWARM: Some early commuters in the American northwest have been confronted by an unusual road hazard – 20 million angry bees. ZEBRAS ON THE LAM through the streets of Brussels. BUFFALOS ON THE LAM in Hot Springs, Arkansas. TAKING A PERSONAL DAY, mostly because yesterday was a slooow news day, so a good day to take off. I should be back for the usual Friday festivities. 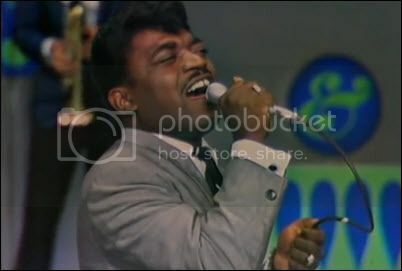 PERCY SLEDGE, the R&B belter whose biggest hit, "When a Man Loves a Woman," became a cornerstone of soul music, died Tuesday. He was 73. The Guardian collects four more of his best. LUNA: Watch six songs from their first American show in about a decade. PASSION PIT is advance steaming Kindred via iTunes Radio. NAI HARVEST advance streams Hairball. ALL SONGS CONSIDERED features new tracks from the Milk Carton Kids, Buil To Spill, Protomaryr, and more. 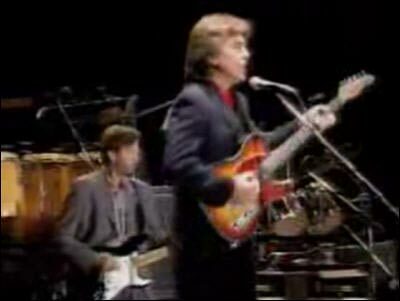 GEORGE HARRISON & ERIC CLAPTON: "Taxman." Obligatory. DAVID BOWIE's new songs for Lazarus may be "classics." CORNERSHOP: Tjinder Singh revisits the group’s breakthrough album, When I Was Born for the 7th Time, at SPIN. Interesting comments on Radiohead also. STEALING SHEEP: The art-psych-pop trio is profiled by The Guardian. RACHEL McADAMS & JAKE GYLLENHAAL may be an item. BILLY JOEL and his girlfriend, Alexis Roderick, said in a statement Tuesday they are expecting their first child this summer. DENNIS QUAID melted down, Christian Bale-style, on set...or did he? LOVE & MERCY has a longer, more revealing trailer online. WONDER WOMAN director Michelle MacLaren has dropped out due to what the parties involved are calling creative differences. RUSSIA: The Pentagon on Monday denounced a recent incident in which a Russian pilot intercepted a U.S. aircraft over the Baltic Sea as "sloppy airmanship." Oh, yeah...sloppy...that's it. YEMEN: Local militiamen in the Yemeni city of Aden said they captured two Iranian military officers advising Houthi rebels during fighting on Friday evening. LIBYA: New Libyan peace talks kicked off in neighboring Algeria. Jordan's King Abdullah II met with Libyan General Khalifa Haftar and pledged his country's support in confrontation with "terrorist organizations." IRAQI Prime Minister Haider al-Abadi made an in-person appeal to President Obama on Tuesday for more help defeating the Islamic State militants. The Reuters news agency announced that its Baghdad bureau chief has left Iraq after he was threatened on Facebook and denounced by a Shiite militia television station following a Reuters report alleged lynching and looting in Tikrit. 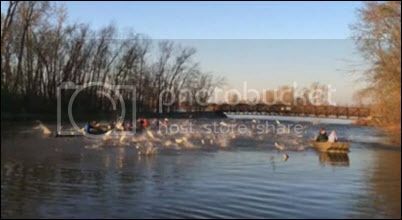 ASIAN FLYING CARP attacked Washington University's first-year men's rowing team. A MOUNTAIN LION hung out under a Los Feliz home for a day. DUCKS wandered around DC for no clear reason, like most. A WHALE feared extinct washed up on an Aussie beach.